"What is erhu?" asked the children when I told them that I played erhu (二胡) during my school days. They have never seen this musical instrument before. In fact, I have not had my hands on it for N years! When I was informed about the sixth edition Of Music and Art: The Legend Retold 乐。艺：传奇新传, performed by Ding Yi Music Company, I thought it would be a great opportunity for the children to learn about Chinese musical instrument. 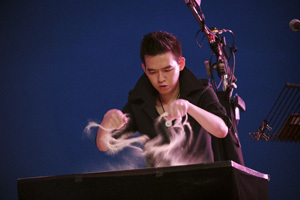 In addition to Chinese musical instrument, Ding Yi Music Company is joining forces with Hawaiian Javanese dancer Garrett Kam and sand artist Lawrence Koh for this performance. What a special musical production that the whole family can enjoy! What legend will be retold? It is a tale of the famous yet neglected landmarks in Singapore - Sisters' Island. Have you been to Sisters' Island before? 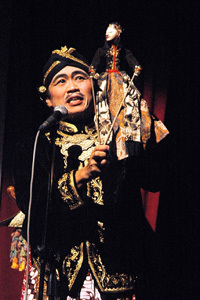 Our family is looking forward to enjoy this multi-sensory performance of Chinese chamber + Javanese dance + sand art! Admission rule: Infants in arms or children below the age of 4 shall not be admitted. Children age 4 years and above must purchase ticket for admission. For those who purchase 4 and more tickets, there’s a workshop to introduction of Chinese musical instrument and Javanese dance. It is suitable for parents as well as children 5 years old and above. Limited seats are available, so if you have purchased 4 and more tickets and you are interested in this workshop, please email the representative at khaihong@anticsatplay.com for more details. 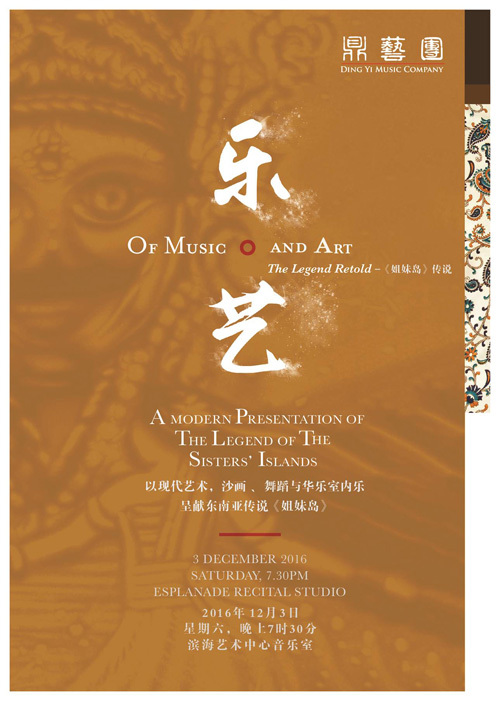 5 lucky PeiPei.HaoHao readers will each receive a pair of tickets to Of Music and Art: The Legend Retold on 3 December 2016! This giveaway will be closed on 17 November 2016, 2359 hrs. [Update on 17 November 2016] Congratulations to Pei Wing, Philip Tong, Cherlin Teo and Adeline Tan! We were introduced to three Chinese musical instrument at the workshop - erhu, guzheng and pipa, and we learnt some Javanese dance movement. This workshop equipped our children with some knowledge of the performance. I had not attended Chinese musical instrument performance for many years, and this one was a refreshing performance to me! While the Chinese chamber offered an audio enjoyment, our visual experience was a rich one - sand art projected on a big screen, as well as Javanese dance. All these combined together to bring us back to the past to gain an insight of the legend of Sisters Islands. We enjoyed the interactive nature of this performance. The Principal Guest Conductor, Mr Quek Ling Kiong, engaged the audience by getting us to join the performance with our upper body movement together with waving crepe paper and clapping. Some children were also invited to try the sand art, and won prizes by answering questions. Hao Hao won himself a music CD! This performance was really enjoyable! Disclaimer: We are invited to Of Music And Art: The Legend Retold. No monetary compensation was received. The giveaway is in no way sponsored, endorsed or administrated by, or associated with Facebook.